Every Monday Is Prime Time! enjoy a 3 course Prime Rib Dinner for $35. Dining at RingSide Steakhouse is a unique experience. The ever-evolving menu offers beef believers the very best in Northwest USDA Prime and Certified Angus Natural Beef. Steaks are aged a minimum of four weeks, hand carved on the premises, seasoned and grilled to perfection. We house one of Portland’s only on-site dry-aging rooms, and guests can select from an array of beef choices, chops, chicken and Pacific Northwest seafood. Select an accompanying wine from our extensive wine list of more than 700 labels, including some of Northwest’s finest regional wines. Our wine list has been recognized with the "Best of Award of Excellence" Wine Spectator since 2001. RingSide Steakhouse- Uptown offers two spaces within the venue that may be used for private dining; The Barrel Room and The Wine Room. Your event has the option of a hosted bar, floral accommodations and specialty rentals. 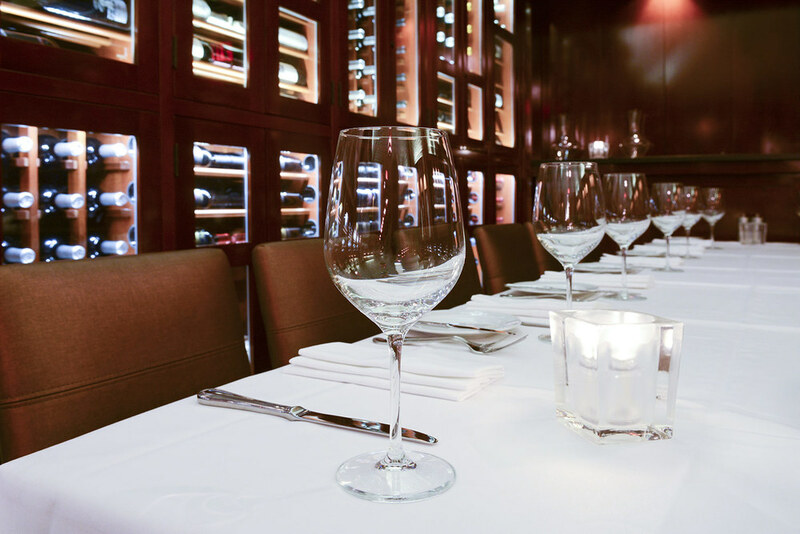 With an impeccable, dedicated service staff and wine director on-site, our elegant, upscale spaces are the perfect setting for your next event. 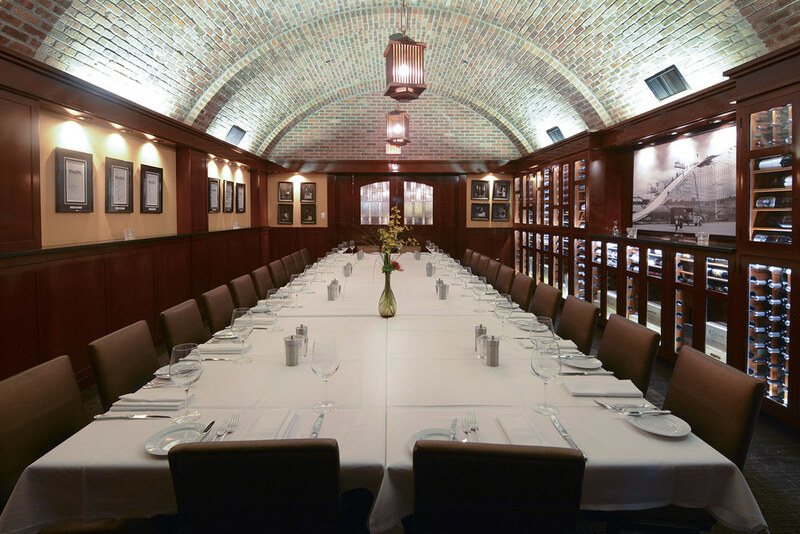 The Barrel Room at RingSide Steakhouse is a private experience inspired by a traditional wine cellar. This warm and classy room seats up to 40 and has a capacity of 65 for a standing reception. 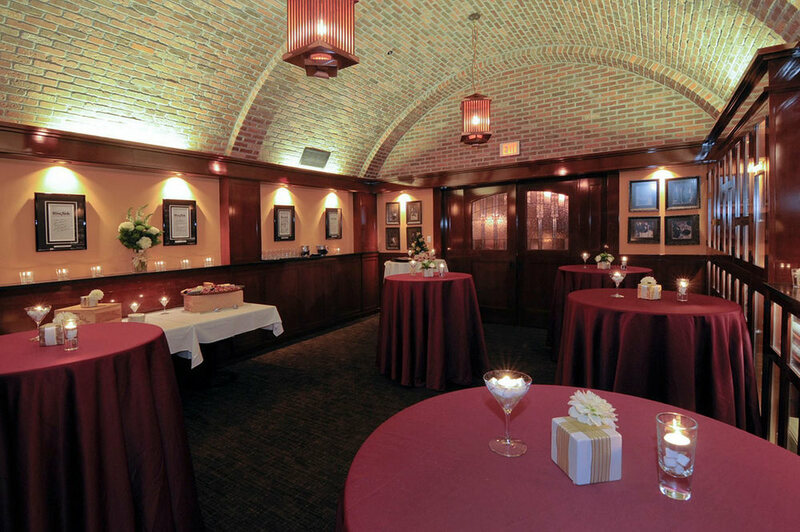 The Wine Room at RingSide Steakhouse is a semi-private dining room separated from the main dining space by a brick enclosed wall of wine. 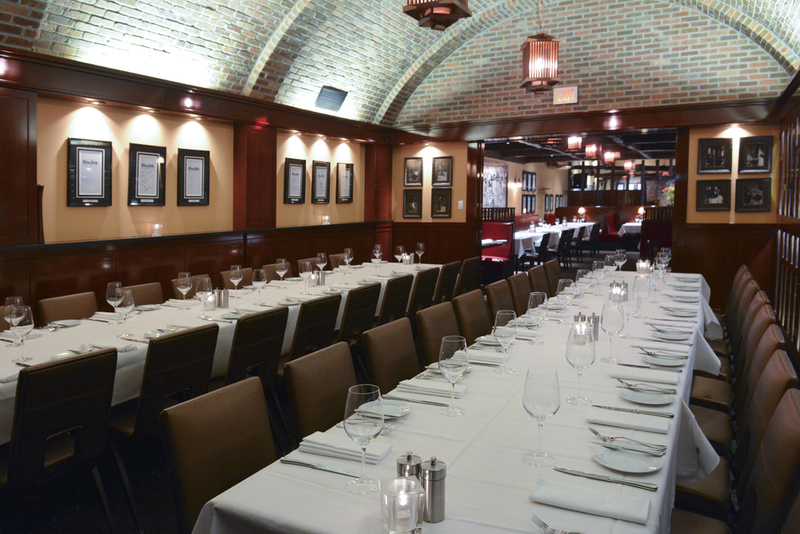 This room, which reflects the iconic RingSide ambiance, is the perfect space for dinner parties of up to 18 guests. Recognized as the leader in Portland steakhouses since 1944, RingSide Steakhouse has been serving our community for seven decades with the same family ownership. At the steakhouse most guests begin their dining experience with RingSide’s legendary world famous onion rings - James Beard once claimed them to be… ”the best I’ve ever had.” RingSide Steakhouse Uptown has been perfecting the steakhouse experience over the past 70 years. Set in a one-of-a-kind brick building in the Nob Hill section of Portland, Oregon, this venerable landmark has its own civic identity. From their first steps into the RingSide experience, guests are taken care of. Congenial valets will gladly park cars in the restaurant’s safe and secure parking lot and parking is complimentary. Well informed, long-in-service wait staff, some of whom have served at the restaurant more than 30 years, use their expertise to make the meal the best it can possibly be. The warm and welcoming fireplace along with the formal tuxedoed service signal to guests they are in a comfortable, venerable establishment. Choose a steak from a menu offering a variety of USDA Prime and Certified Angus Natural Beef selections that are aged a minimum of four weeks. Steaks are hand cut on the premises and dry-aged steaks are aged in one of Portland’s only on-premise dry-aging rooms. Entrée selections beyond steak are available. Diners can count on the finest in locally sourced lamb, pork, chicken and seafood; the twin Maine lobster tails are an event in luxury dining. To accompany one of these fine dining choices, pick a wine from a list of more than 700 labels. Wine Spectator, the magazine for devoted wine lovers, has recognized RingSide Steakhouse with its "Best of Award of Excellence" since 2001. RingSide Steakhouse Uptown has been recognized with significant awards and honors, including: Tom Horan’s America’s Top Ten Hall of Fame; Great Steakhouses of North America; Wine Spectator’s "Best of Award of Excellence" and the much coveted DiRoNA Award of Excellence – from Distinguished Restaurants of North America. Born in Fort Bragg, NC, Beau Carr relocated with his family to the Northwest at the age of eight. After years of working in various kitchens in the Portland area, Beau found himself at Huber’s, the Portland landmark restaurant, serving as Sous Chef. Upon graduating from Western Culinary Institute in 1990, Carr was named Chef de Cuisine at Northwest Restaurant, and was also tapped as Executive Chef/Owner of Chalet Swiss. In 1998, Carr joined the RingSide family as Executive Chef where he oversees the full culinary program at RingSide Steakhouse Uptown. Beau’s love of food came early in life: his favorite meal as a child was a beefsteak tomato sandwich picked fresh from his grandmother’s garden. His mother’s specialty was their annual Thanksgiving dinner with all the trimmings. When not in the kitchen at RingSide, Carr enjoys boating and the great outdoors. Gabe Rucker's Le Pigeon is a nominally french restaurant known for its beef bourguignon, burger and, yes, grilled pigeon. True to form, Portland's favorite steakhouse offers some potentially life-changing cuts of beef without any hint of the snootiness that plagues most steakhouses. Zagat ratings range from 1 to 5, where 5 is the most favorable rating. [THE ORIGINAL HAPPY HOUR] Long before there was Portland, before tribes settled in the Willamette and were wiped out by sickness, before mammoths, before the dinosaurs died, there was the RingSide happy hour. It was always here. It was the founding idea of Portland. It is our legacy to our children. It was my first "fancy" meal as an adult. It will probably be my last "fancy" meal when I'm an old and lonely cheapskate. And it is $4.75 for a heaping portion of steak bites. There are other deals—notably an excellent $5.75 prime rib French dip and a solid $3.75 hamburger whose price seems unreal—but always you are here for the steak bites, which are the trim bits of rich people's meat priced just for you…the poor who like to feel rich sometimes. What a wonderful place, this parking-valet palace of Burnside that lets the poor feel rich, just for a little while. MATTHEW KORFHAGE. Insider tip: The three-course menu offers the best bang for your buck. Willamette: The Pinot Noir Barrel Auction is the first of its kind in the 50-year history of the Oregon Wine industry and acknowledges a pivotal moment in the region's timeline signifying its presence on the world stage. Willamette: The Pinot Noir Barrel Auction creates an opportunity for the influencers of the wine trade to experience what makes Oregon remarkable, showcasing unique expressions of the best Pinot noir from local wineries. In true Oregon fashion, for the first time, over 60 of the region's wineries and winemakers will open their doors and cellars during three days of special events culminating in a live auction. Invited trade and guests will taste Pinot noir of outstanding quality, produced in extremely limited quantities, representing a wide range of terroirs and styles. Willamette guests are among the fortunate few with the opportunity to own an exceptional lot of one-of-a-kind Pinot noir and an unforgettable impression of the Oregon wine community. 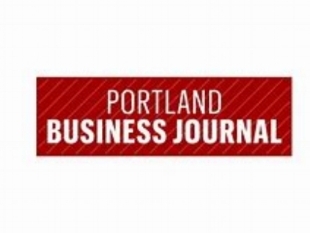 PORTLAND — The “drink local” concept might not get as much traction in Oregon as “eat local,” but the Oregon Wine Board continues to work on changing that with its second annual Oregon Wine A-List Awards program. 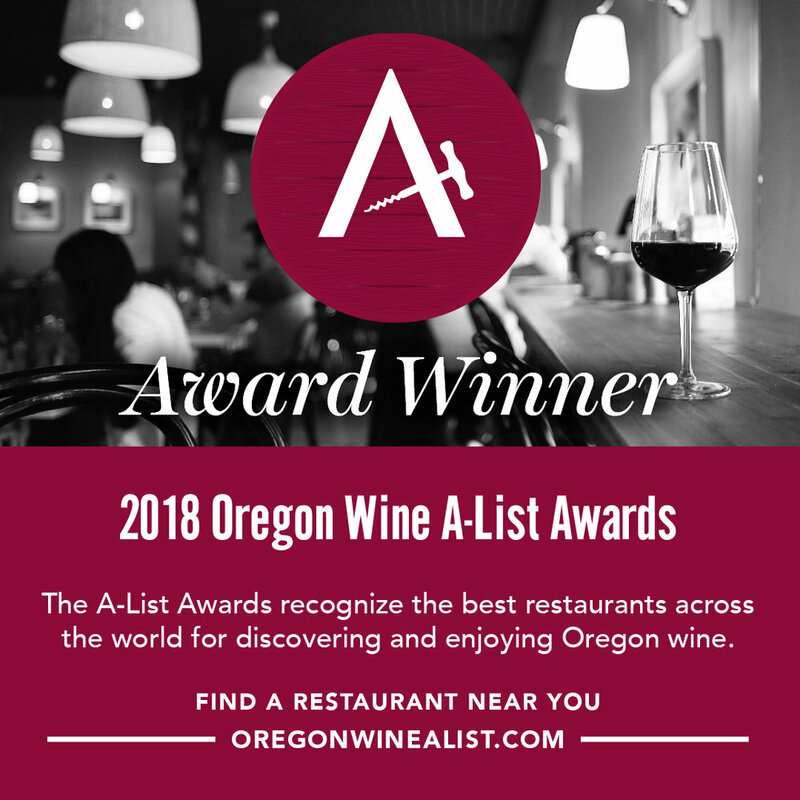 This week, the Oregon Wine Board and Oregon Wine Press opened the new year with a fresh list of its most supportive restaurants by releasingwinners of the 2016 Oregon Wine A-List Awards. The collaborative effort was expanded to feature 112 restaurants from Portland and beyond that showcase Oregon wines. It's time again to update the Eater 38, the list of the Portland restaurants that define what it means to eat in Portland. This highly elite group covers the entire city, spans myriad cuisines, and collectively satisfies all of your restaurant needs, whether you're looking to drop serious cash or to magically transform a few bucks into a meal. So if you're ever wondering where to eat, or want to know which restaurants define Portland cuisine, here's your answer. This is the big one: It's time to update the Eater 38, the list of the Portland restaurants that define what it means to eat in Portland. This highly elite group covers the entire city, spans myriad cuisines, and collectively satisfies all of your restaurant needs, whether you're looking to drop serious cash or to magically transform $3 into a meal. So if you're ever wondering where to eat, or want to know which restaurants define Portland cuisine, here's your answer. Ringside has been serving steaks to Portlanders long enough that the late James Beard himself is said to have called its onion rings the best he’d ever had. Oh, and the steaks? Dry-aged, glazed with butter and cooked to perfection. Don’t call it a cookout! The festival’s newest marquee event closes out the weekend with a sizzling celebration of animal, vegetable, fire, sea and forest. Featuring top masters of the flame from Portland and around the country, this event will stoke your appetite for everything flamed, grilled and free-ranged. Set to the tune of bold Northwest wines, classic cocktails and an epic view of the Fremont Bridge, Smoked! is ready to spark things up with live fire and some of the best bites of the weekend..
One of Portland's oldest family-owned restaurants and still the city's best traditional steakhouse, RingSide at 70 has a clubby, Rat Pack-era charm, quality steaks and some of the city's most on-the-ball servers. You won't find bavette steak, pork secreto or other trendy cuts popular at modern meat houses. RingSide stays on Main Street with juicy rib-eye steaks, thick pork chops and fat lobster tails, all seared to order and delivered with a smile and a fluffy baked potato...You're better off leaving your budget (and your diet) at the door. You know you’re doing something right when James Beard proclaims one of your dishes to be “the best I’ve ever had.” That’s what the champion of American cuisine once said about RingSide Steakhouse’s onion rings. Craig, Jan and Scott Peterson are third-generation owners of the restaurant their grandfather bought in 1944. While the restaurant underwent a major remodel in 2010, it has maintained its old school personality, and a loyal clientele and staff. Chef Beau Carr has been at RingSide for 16 years and a handful of other employees have been on staff for more than 30 years. We talked with Craig Peterson about what’s kept RingSide Steakhouse thriving for 70 years.